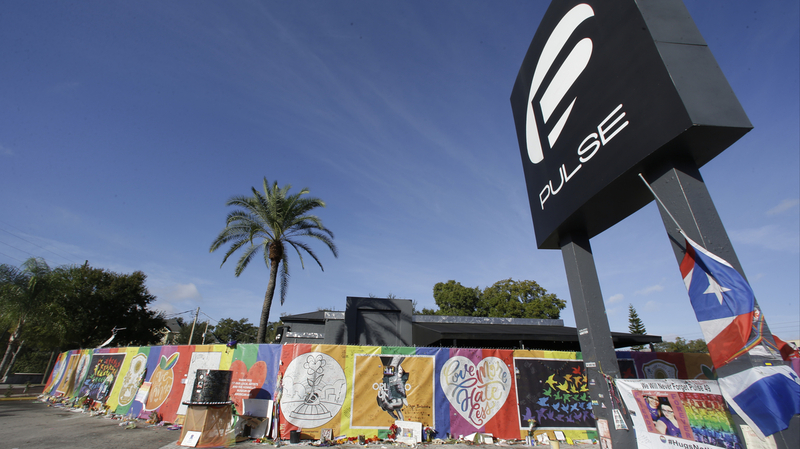 Report Critiques Orlando Police Response To Pulse Nightclub Shooting Local law enforcement followed procedure and saved lives, but more training is needed to better prepare them as terror attacks increase, a Justice Department review concluded. In this Nov. 30, 2016, photo, artwork and signatures cover a fence around Pulse nightclub, which was the scene of a mass shooting in Orlando. The police response to the Pulse nightclub massacre in 2016 followed protocol, but more training and better coordination are needed moving forward, according to a new 200-page review from the Justice Department and the Police Foundation. The deadly mass shooting at what was a popular space for the LGBT community in Orlando left 49 people dead and dozens of others injured. The report, which was requested by Orlando's police chief, concluded that the response by that city's police department was "consistent with national best practices and under extremely volatile and difficult circumstances." But there are areas where they could have done better, including coordination, organization and communication among first responders, as Brendan Byrne and Abe Aboraya, of member station WMFE, reported. There was also little communication ahead of the explosive breach that would lead to the end of the nearly three hour long standoff. Many perimeter officers were caught off guard and unprepared to help survivors rescued by the SWAT team. The report found many of the first responders were ill-equipped to protect themselves against the gunman. The body armor issued to patrol officers offered little protection from the shooter's weapons. Orlando Police Chief John Mina said that's changed in the wake of Pulse. "One of the things we did immediate after the Pulse shooting was outfit our officers with Kevlar helmets and addition body armor," he said after the report's release. According to the report, Orlando Fire Department and EMS were not included in the command center. In fact, because of an outdated paging system, Orlando Fire Department's chief didn't arrive at the scene until after the shooter was killed. The report calls for more training to better prepare local first responders for escalating terror attacks. "There is no policy or piece of papers that would have saved lives," Chief Mina said on Monday. "We adjust training tactics, not only with first responders but for tactical teams, but we are not going to put that on a piece of paper."